Would You Like Some FREE COFFEE With Your Order? 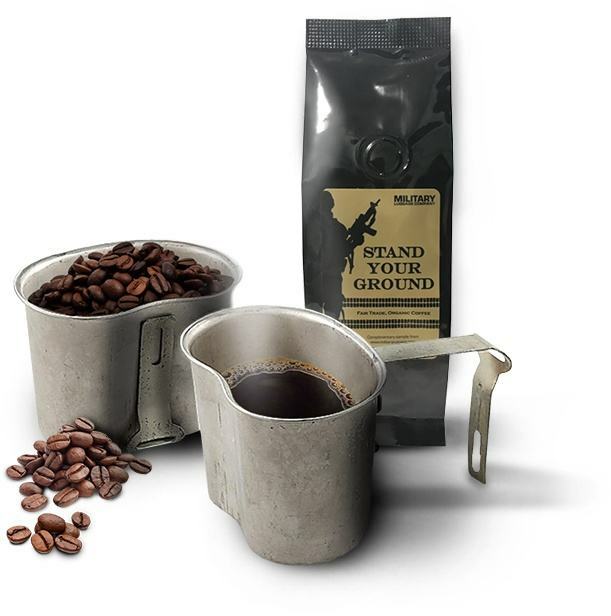 We randomly include a sample of our "Stand Your Ground" coffee with orders of $50 or more. Now let us tell you - Stand Your Ground is LEGIT! The best way we can describe it is a dark roast that is smooth with no bitter aftertaste. It's fair trade. It's organic. You won't be disappointed. There's 2 ways to make sure you get some "Stand Your Ground" with your order of $50 or more. The 1st way is for our Nation's Heroes. For those who serve, have served and their family members, please let us know in the "Order Comments" and you will be guaranteed to get a sample. The 2nd way is for Freedom Loving Patriots! If you love America as much as we do, tell us in the "Order Comments" and we will be happy to throw in a sample with your order.